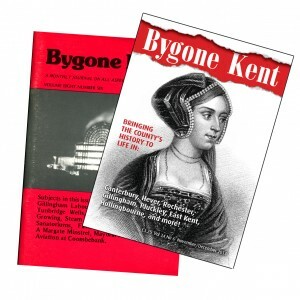 Bygone Kent has been entertaining and informing the people of Kent (and beyond) since 1979. The county is steeped in history and heritage, and there is always something new to investigate and explore. Did you know, for example, that Kent’s motto, Invicta — undefeated — is said to have been coined after a deal was reached with William the Conqueror that allowed its people to claim they had not been vanquished? That Faversham suffered one of the biggest disasters in the history of the British explosives industry? Or that the name chalybeate, of the spring discovered in Tunbridge Wells in 1606, refers to its iron content? And, of course, Kent played a frontline role during the Second World War, not least during the evacuation of Dunkirk, when the heroic little ships sailed relentlessly across the English Channel in Operation Dynamo run from below Dover Castle. The magazine has had an interesting history as well, established in 1980 as a black and white publication, and going through several owners and editors until a new company formed by newspaper journalists Christine and Stephen Rayner took it over in late 2013. But some things never change… it remains the A5 pocket size that is its hallmark; it still has plenty of fascinating articles just waiting to be read; and it retains a passion for the county’s history. I’m Kent born and bred and am proud to both live and work here (having had homes in north, west and now the east of the county). The passion, loyalty and knowledge of our readers helps make editing the magazine such a joy. We love getting your letters. So please don’t hesitate to contact me and let me know more about your little piece of Kent.